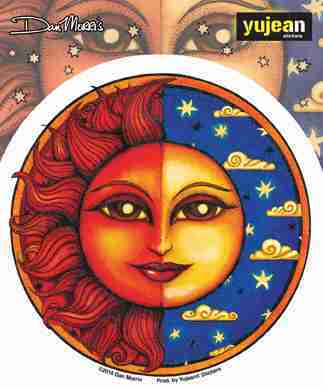 The sun and the moon are featured in this celestial themed decal. It's a 4 1/2" round die-cut sticker. Weather-resistant, extra long-lasting. Artist: Dan Morris.